How do I setup Opportunity Codes for my techs to use in SWRemote? 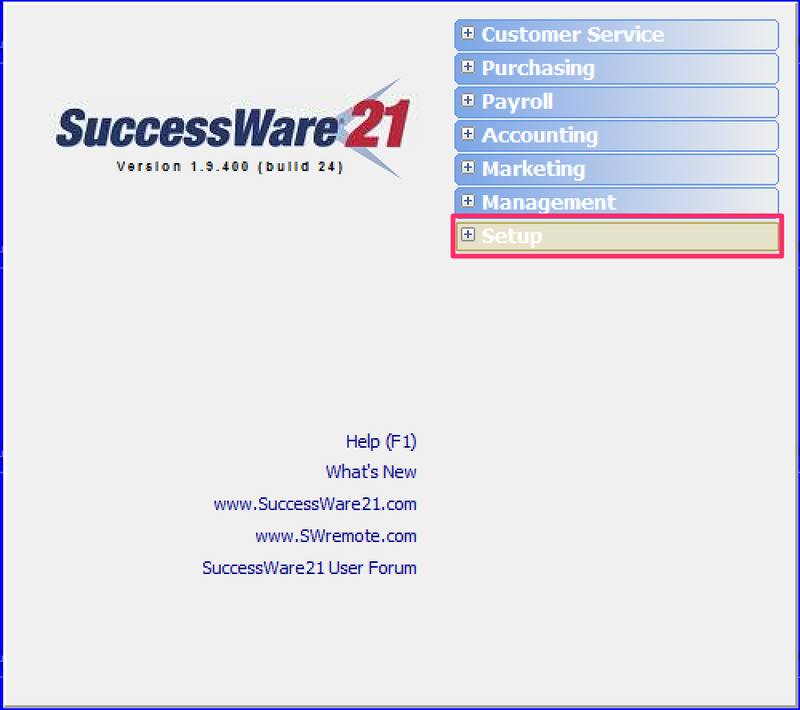 To setup Opportunity Codes for use within SWRemote, you will need to first login to SW21. After logging in, you'll want to click the 21 button in the upper left-hand corner. In the main menu, you'll want to click on Setup. Next you'll want to click on Reference Library. Inside the Reference Library you'll see a list of Volumes on the left hand side. Navigate to the Marketing volume and double click on the Opportunities option. Here you'll see any/all Opportunity Codes that you currently have setup. 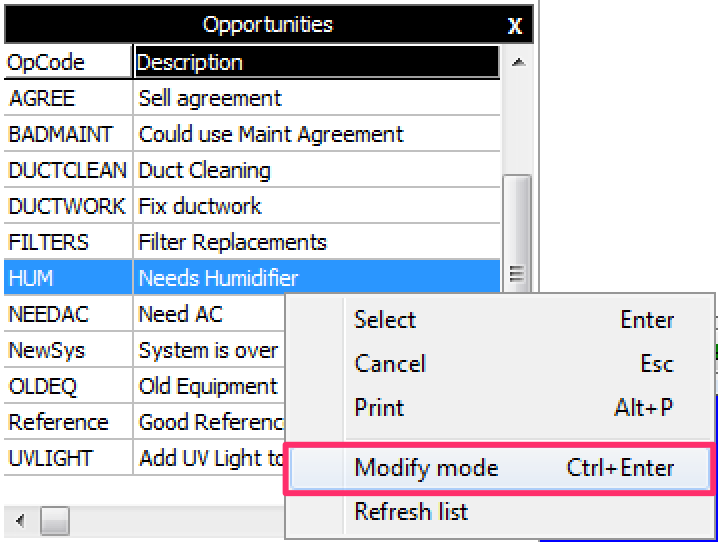 You can now right click anywhere on the grid and select Modify Mode, which will allow you to edit, add or delete Opportunity Codes. 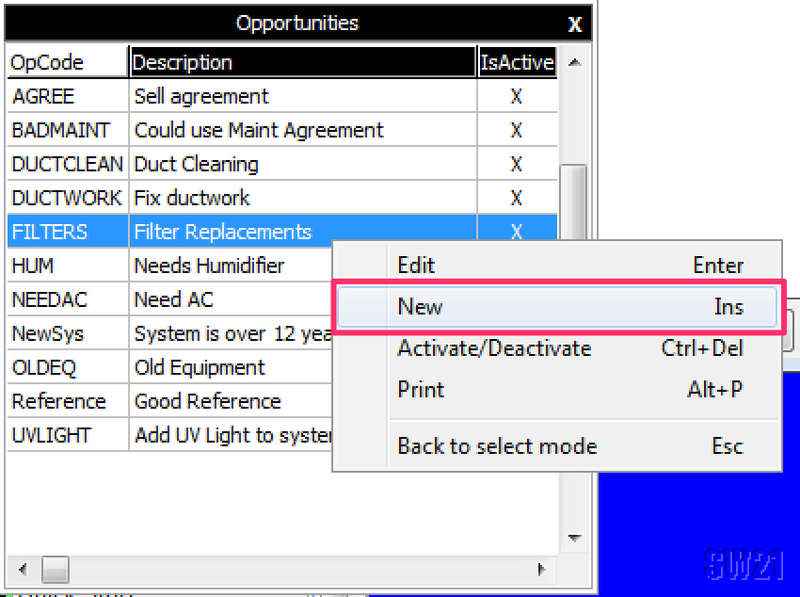 To add a new Opportunity Code, you'll want to right click anywhere on the Modify Mode grid and select New. You can then fill out the Code and Description field, and don't forget to mark it as Active. After you make these changes, there are 2 more steps that need to be done before the techs will have access to the newly added codes. Bring the new codes down to SWRemote's system. Learn how to update SWRemote's version of your pricebook/reference library HERE. Bring the new codes down to your tech's devices. 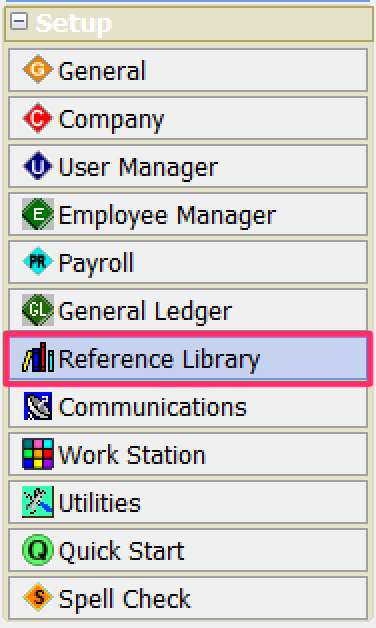 Learn how the techs can reload the pricebook/reference library on their devices HERE.